Packed in a slightly thick, clear keepcase with a dual-sided cover featuring the film's original poster on one side and new art by Graham Humphreys on the other, the disc sports that oh so clean Arrow Video menu, offering the choices to watch the film, check out the bonus features and adjust the set-up. There are no audio options, but subtitles are available in English. If you pick up the film in its first pressing, the package includes an attractive 16-page booklet with stills, info on the film and restoration, and an essay by Joe Bob Briggs, in which he goes over the making of Schlock and explores its appeal, in spite of its shortcomings. 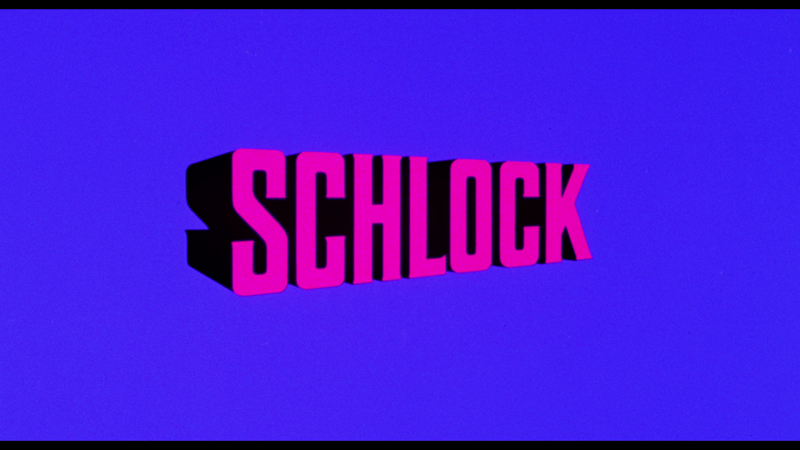 Schlock is not a great movie--it meanders its way through a relatively brief runtime, features mostly subpar acting and doesn't have the most original storyline in the history of film. But it is the first feature film from John Landis, and in addition to being an opportunity to see where he started out--not to mention Rick Baker--it also has plenty of the touches that would become his filmmaking style, albeit in a rougher, but still often funny form. Arrow has delivered the film in fine, if not pristine shape, and added a quality collection of new, newer and archival bonus content. 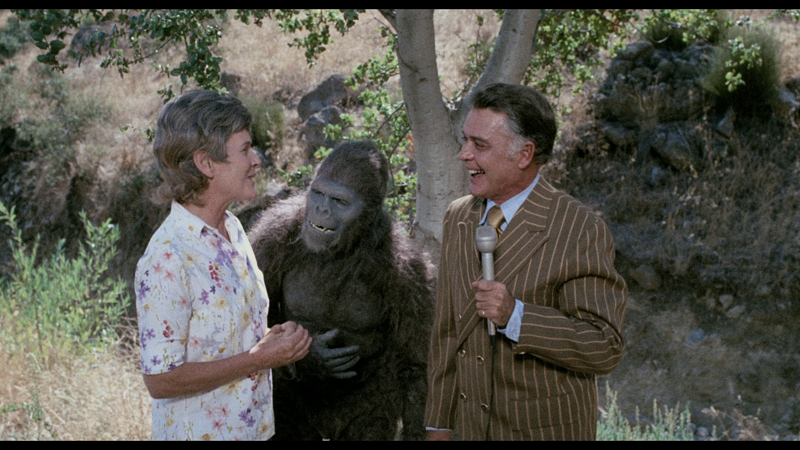 If you approach the film in the right mindset, you can definitely enjoy Schlock, but expectations must be kept in check.